French opera soprano of mixed race. 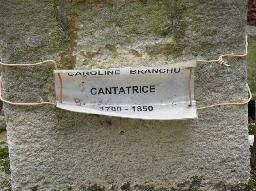 She was born at Saint-Dominque. She was among the first students of the Conservatory of Paris after it opened in 1795 and Pierre Garat was her singing teacher. She was engaged as a soprano at the Opera in Paris. After Napoleon saw her perform as Iphigenia on 5 Apr 1802 she possibly became his mistress. In 1803 she was appointed chanteuse de la Chambre impériale. In 1807 she performed the title part in "La Vestale" by Spontino. She ended her career on 27 Feb 1826. She fell for an adventurer, Claude-Charles Pierquin Gembloux, ten years her junior, but after a while he left her. Marceline Desbordes-Valmore was her close friend and from 1834 onwards they shared a home at 20 rue Coquenard in Paris. 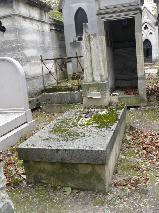 The grave of Caroline Branchu at Père Lachaise, Paris.